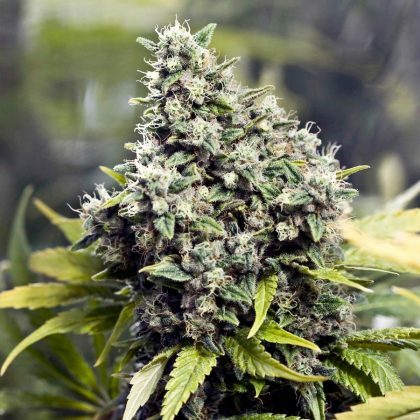 Grapefruit Feminised Cannabis seeds by the Female Seeds Company is a new style Sativa that is fast flowering, high yielding and suitable for outdoor grows. The Female Seeds co.’s Grapefruit Feminised is an early maturing strain that produces sweet tasting buds with a grapefruit aroma. These feminised cannabis seeds offer an intense happy high. A new style sativa; early maturing, fast flowering and maximum yielding. Buds have a soft smell of grapefruit, sweet taste and intense tropical high. This is a 75% C’99 x 25% strong fruity sativa, stabilised on early maturity for some generations now. This one is still undergoing a stability-program, although with 80% being winners not a bad choice.